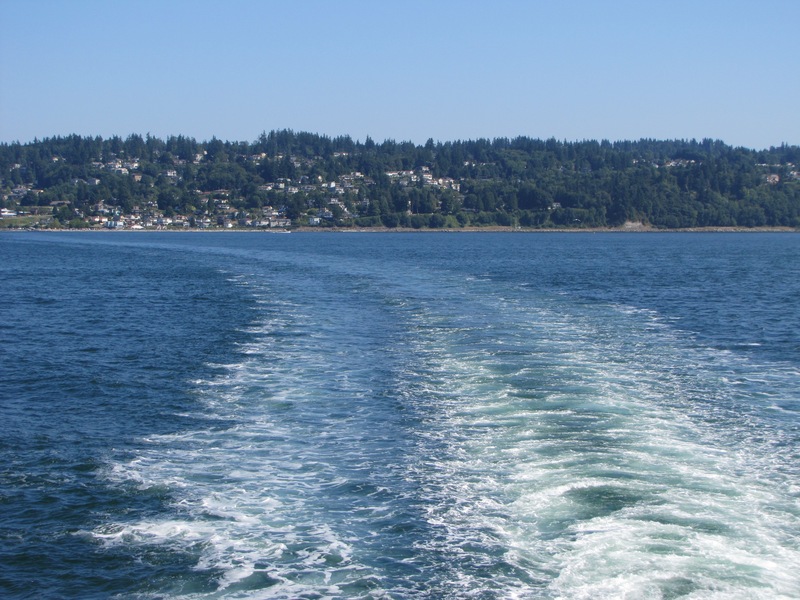 This is the wake of a Washington State Ferry, in the San Juan Islands. In motion, and shows motion. Can you identify the subject of this picture?